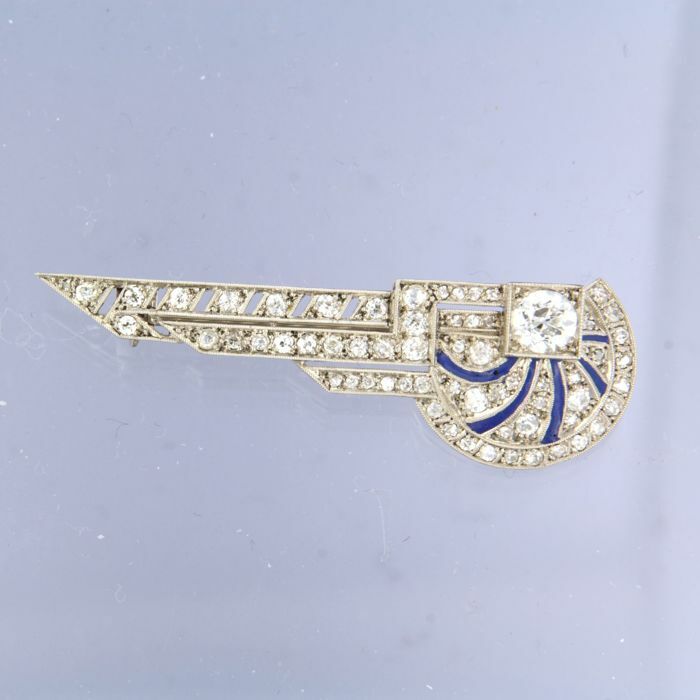 Brooch is in good condition, enamel is slightly damaged. 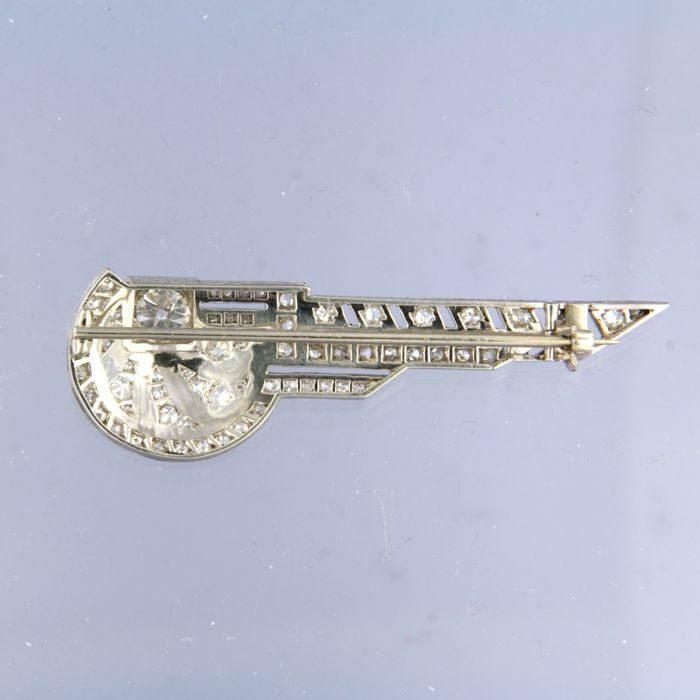 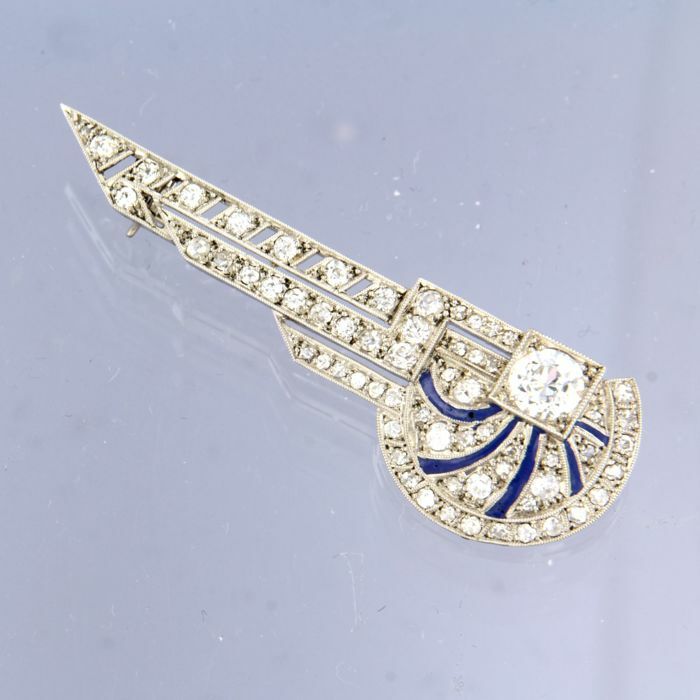 Brooch is platinum with 14 kt hallmarked by Waarborg Holland. 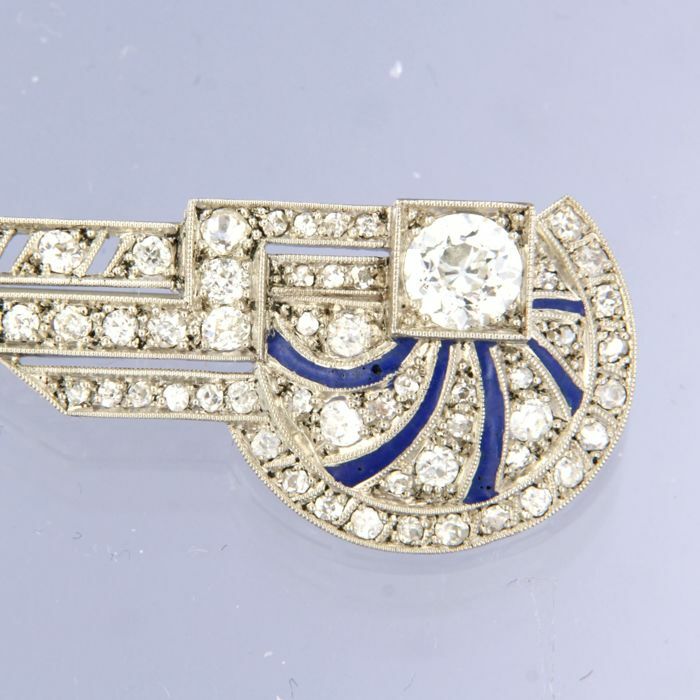 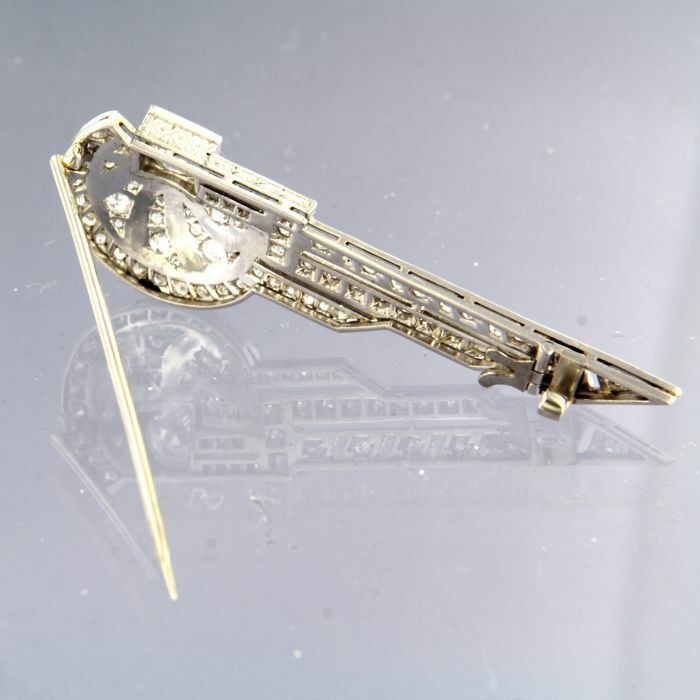 The pin is 14 kt and brooch is platinum 950/1000. 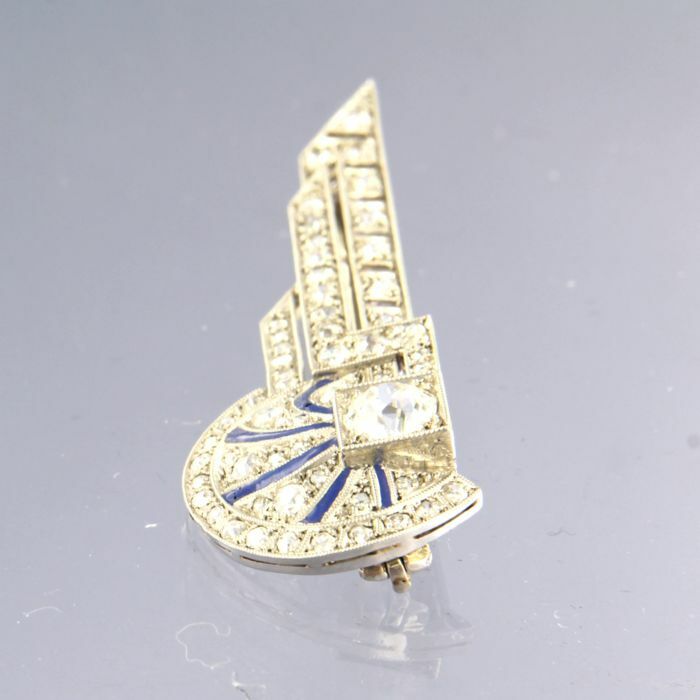 Will be shipped with a certificate, assessed by an official member of Rapnet, the trustworthy platform of international diamond traders.